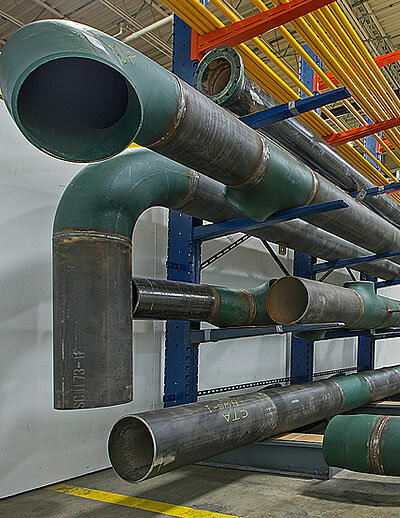 Porter Pipe & Supply provides high-quality piping products and services to a wide array of customers across numerous industries. 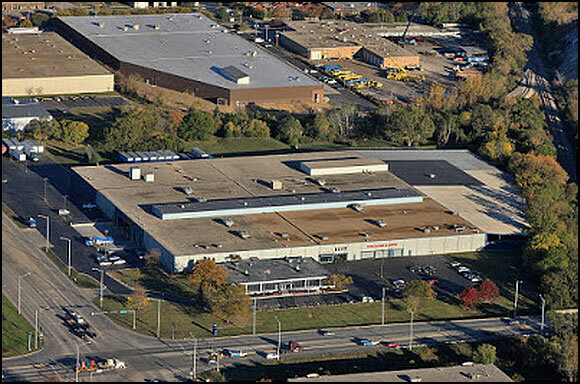 Since 1976 Porter Pipe has grown from a single delivery truck to a 330,000 sq.ft. facility 25 miles from Chicago. Porter Pipe runs a 24 hour operation, Monday through Friday and services the Illinois, Wisconsin and Indiana markets. "We run 24-7 production, Monday through Friday. A significant part of the overall value Porter brings is our pipe cutting and end-prep operations," said Nick Porter, COO of Porter Pipe & Supply. "Our shipping and fabrication teams work the night shift to have next-day orders ready for shipping at 5:00 AM." "Previously all of our pipe cutting was done on vertical bandsaws," continued Porter. 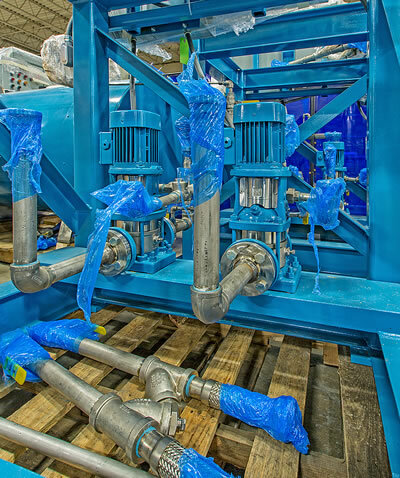 "We were approaching our capacity and needed a way to cut pipe faster to meet growing demand. 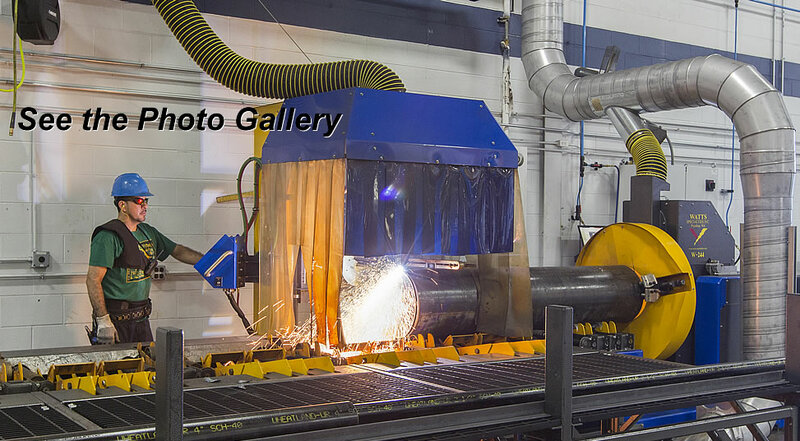 An automated plasma cutter emerged as the right solution. 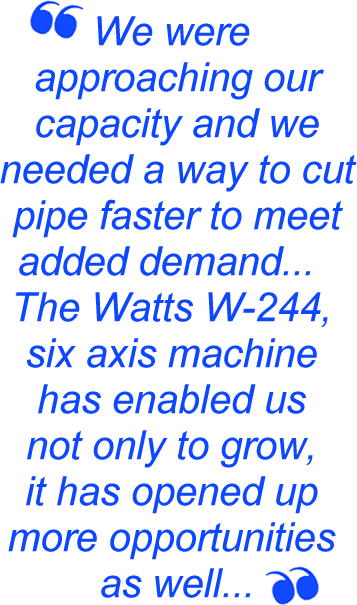 The Watts-Mueller W-244, six axis machine has enabled us not only to grow, it has opened up more opportunities as well." "The most exciting new opportunity is in our ability to economically deliver beveled end pipe. After completing a time study with one of our highest-volume customers, we discovered that we were able to provide cost savings in preparation time of up to 280% while also increasing our sales revenue in exchange for the added value we were providing." "We are able to program repetitive beveled cuts into the machine, and with minimal added process time over square cuts, can produce a smooth beveled edge. We can now ship a fully beveled pipe end, and do it with a largely automated process. For multiple cuts we input the data once and cut many pieces without adding any repetitive setup time. None of this was possible prior to having the Watts machine." "PypeServer software is FAR superior to what we found with other machines," continued Porter. "PypeServer is far more advanced and modern as an application. This was a big part of our decision to go with Watts." 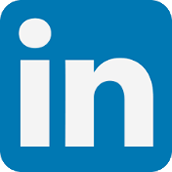 "We have just started using this software and we know there is much more capability to be leveraged. We expect 2017 to be a year of growth and continued savings as we begin to use the nesting capability in PypeServer." "Our contact with Watts-Mueller started at the FabTech show in Chicago," said Porter. "We were there to look at another plasma machine and happened to pass by the Watts-Mueller booth. The Rep, David Carr, took a great deal of time with us to learn and understand our needs. He even offered to come out for a site visit the following day." "As we continued to interact with Watts-Mueller we asked about exhaust options for a machine we might order. After gathering our specifications, Watts-Mueller worked hand in hand with Plymovent in Canada. 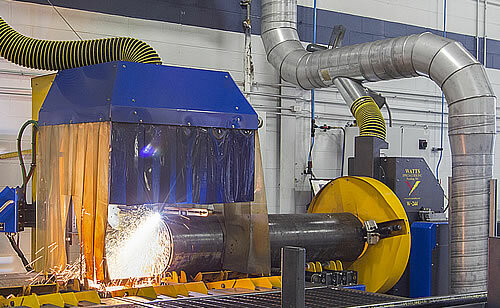 They offered to customize their machine with the Plymovent system to meet our needs - we saved capital expense on both the Watts-Mueller machine and the exhaust system when compared to the other pipe cutting machine we had been quoted." "We have been very satisfied in our business relationship with Watts-Mueller. Every time we have called for support we have received the help we needed." "We were able to save on our initial purchase investment with the Watts-Mueller machine. We continue to save money moving forward as we grow our business with the additional capacity gained by a new plasma pipe cutting machine." "It means a great deal to us that Watts-Mueller machines are manufactured right here in the USA. Roughly 80% of the product we distribute is domestic so it was important that we could invest in domestically manufactured capital equipment. We bring customers and vendors into our shop to run demos and we are proud to make the point that our Watts machine was manufactured in the USA." Nick has over 15 years of experience with industrial distribution. He started working for the family business in high school and after graduating from Illinois State University with a B.S. in Business Administration he began working on the Operations floor. In 2007 Nick became the Operations Manager. 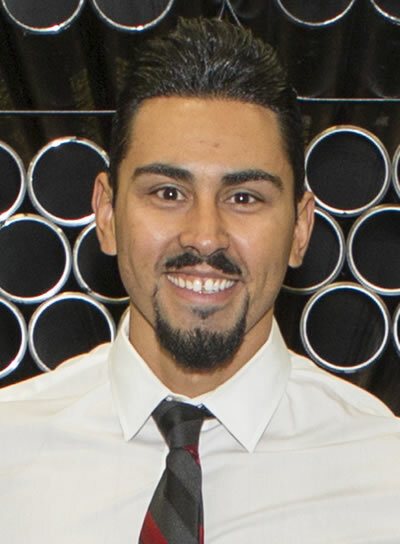 In 2012 he started Bulldog Cartage LLC, a full service HVAC equipment handling company within the Porter Pipe & Supply framework. 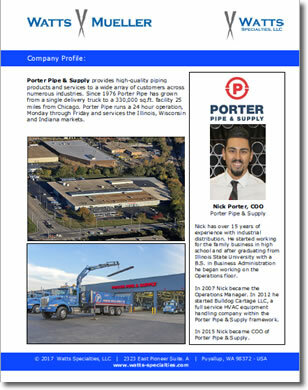 In 2015 Nick became COO of Porter Pipe & Supply.